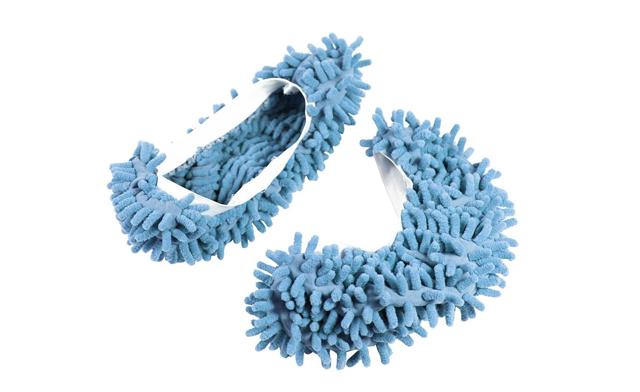 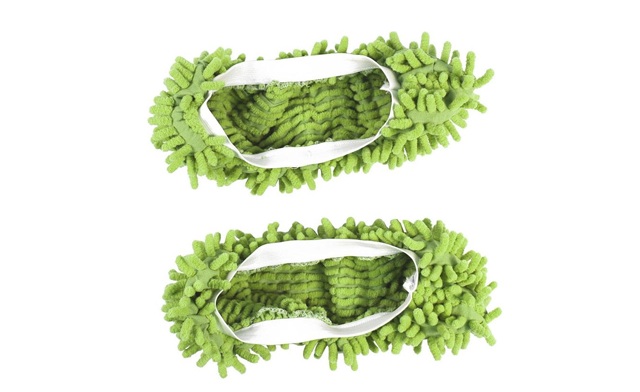 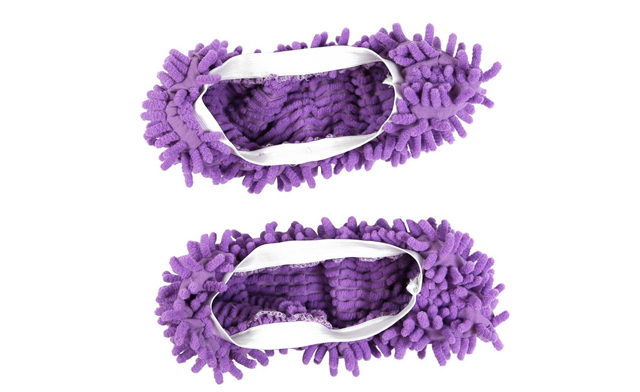 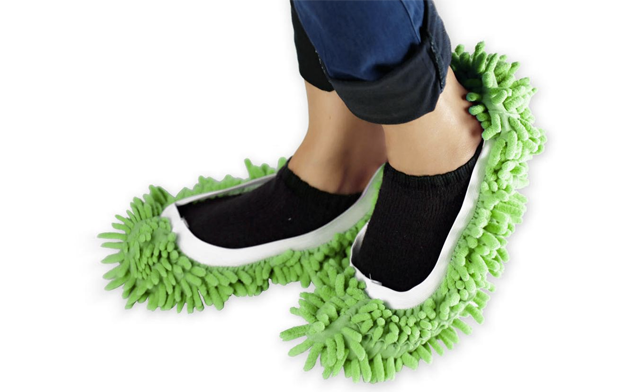 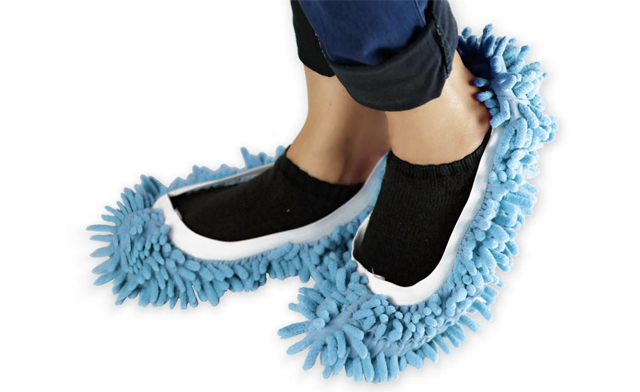 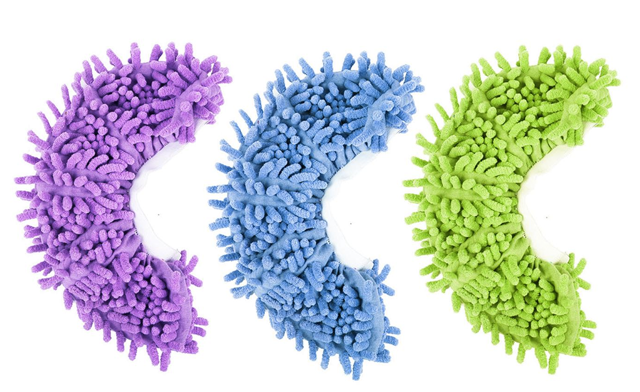 A pair of microfibre chenille mop slippers to clean up dust, dirt, and hair around your house. 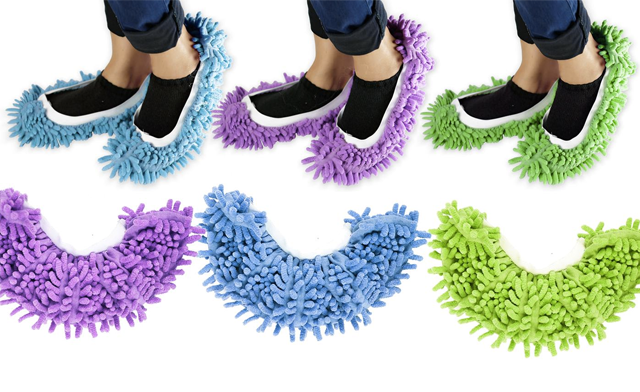 Clean your floors by just walking around! 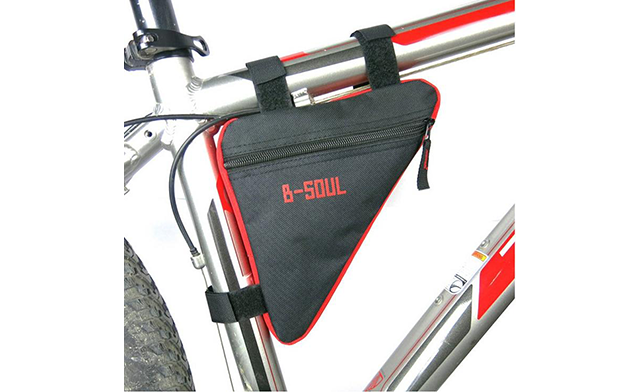 Flat Size: 11.81" x 6.5"
Cuff Girth: 7.99" - 17.72"